Taken this morning,from the deck. 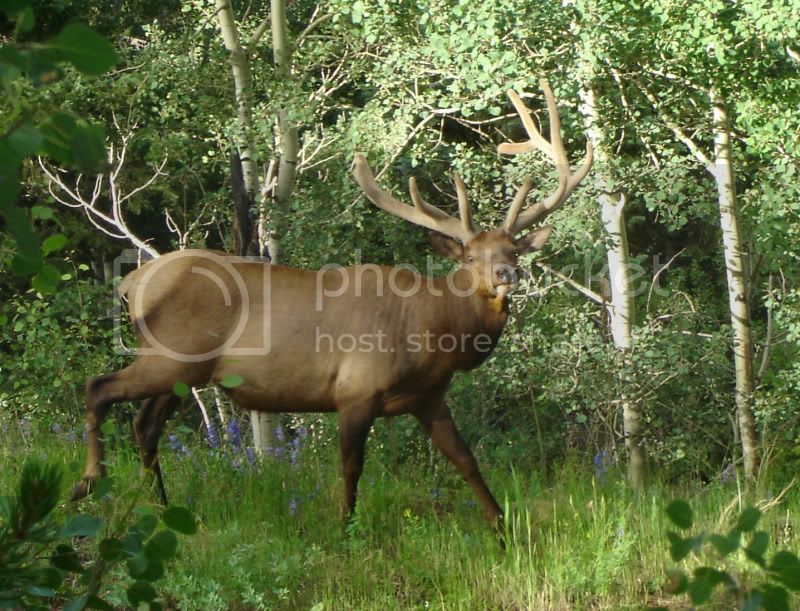 Notice the atypical antlers, and the big gut. Wow! He's bigger than mine! (Just on the other side of our fence last week). Good pics! I have a momma deer and two young fawns hanging around every day, still trying to get a good pic. Keep those wildlife pictures coming!